Yesterday I accomplished something I never thought I’d get to. As a kid and teenager I was active, but never really athletic. I would bike and hike and climb trees and play soccer and catch snakes and get into all sorts of shenanigans. But I wasn’t athletic in terms of having good stamina or energy or endurance. I was active for mental health, not physical health. In college I didn’t have the time or motivation to be recreationally active. Sometimes I would force myself to go for a run or go to the gym for a while, but those instances were few and far between. I did a lot of walking and a little hiking, and that was good. But nothing serious. After college when I began teaching it got a lot worse. I hiked occasionally, and played adult pick-up soccer, but nowhere near enough. I didn’t walk anywhere, and I hardly got out of the house. I didn’t make new year resolutions to be healthy last year, but just after February began, I got sick of myself. Not in a bad way – in a motivational way. I am a cool person, and it wasn’t fair that I was treating myself, my body, so lackadaisically. 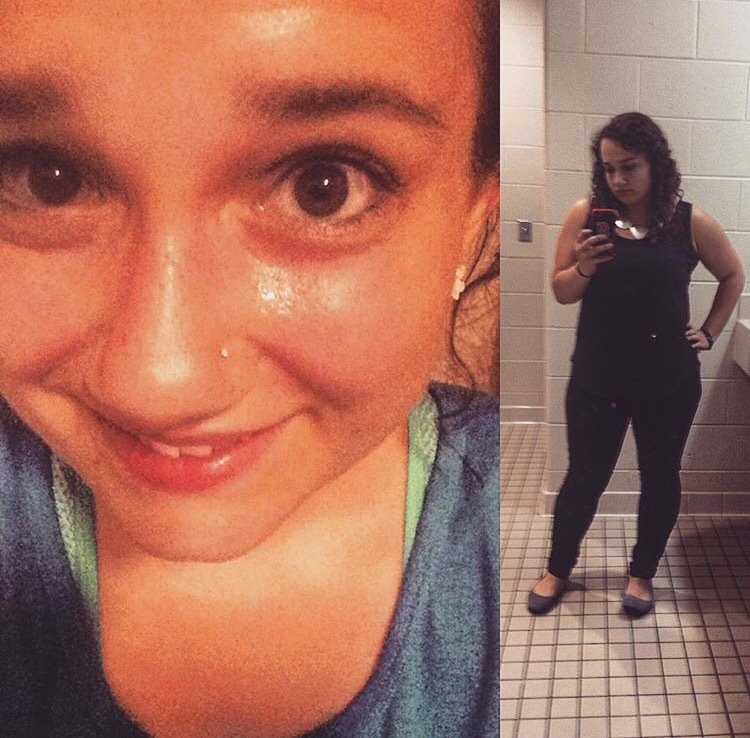 So I went cold turkey – I stopped eating crap food and went on a high fat/protein low carb diet and started going to the gym for an hour every single day. I’ve probably mentioned this before, sorry. I don’t mean to rehash what’s already been discussed. I lived this new lifestyle from February through early June, and it was amazing for me. I felt alive. I would have continued but life got a little messy at that point, and between ending jobs and long road trips and moving, I went to the gym maybe twice a week and wasn’t eating as well again. So I was off from mid June until late September, and I could tell the difference. I was lethargic and off. I didn’t like it. So I returned to eating well and going to the gym daily. Well, almost daily. I go MTWFS. I’m on my healthy food kick every day except Thursdays. Usually the lack of progress in physical health is a little demoralizing – results don’t come quickly. Here’s what this is all about. Yesterday I ran 5K, on a treadmill, without pausing, without stopping, without slowing. It took me a whopping 40 minutes, but I did it. I have never done that before. Not even close. Today I am sore, but happy. Very happy. When I run today, I’m going to run just a little faster, knowing that I can do that. The best part? Yes, part of working out and eating right is about looking and feeling good. But for me the biggest part is about getting my body to the point where it is free to do what it was built to do. To let my muscles stretch and let my heartbeat pound and to feel the power that courses through you when you push yourself. And I felt that more than ever last night. So, cheers to bodies and what they can do. Congrats on the body and specially having the will power to get where you want to get, that is the most important part in my humble opinion.